It’s hard to understate the reputation the Toyota Hilux has for toughness and reliability. There is a literally a war named after it, the Toyota War, in which Chad mounted guns and missiles onto a fleet of Hiluxes and went into battle with Libya. The compact pickups took out columns of tanks and armoured personnel carriers, shrieking through the opposing armies thanks to speed, light weight, and maneuverability. Even more amazing is the aircraft count: the wingless, completely non-flying Hilux has 32 confirmed kills of fighters and attack helicopters. Libya was so terrified of this minitruck they used MiG-23s against it. The reputation the Hilux gained for invincibility on the field of battle is so fearsome that, to this day, the most powerful nations on earth, including the United States, get twitchy around large numbers of Toyotas. 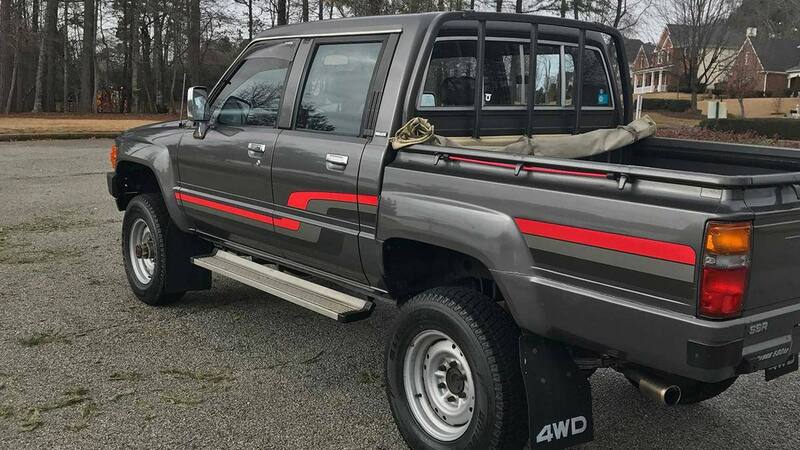 With these impactful images clearly in mind, let’s take a closer look at this totes adorbs JDM (Japanese domestic market) 1987 Hilux, currently on offer in the Peach State. 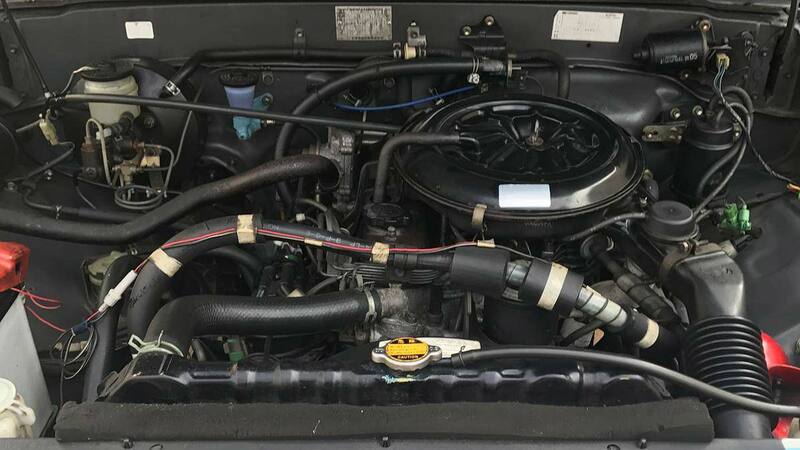 It began life in Toyota’s Tahara plant in Aichi Prefecture, and was given the formal name of “Hi-Lux 4×4 Double-Cab SR.” According to its number plate, it’s a right-hand drive model powered by a naturally-aspirated 2.0-liter four-cylinder (a.k.a. the 3YJ). When new, the engine made 105 horsepower and 123 lb-ft of torque, and sent that power through a five-speed manual gearbox. 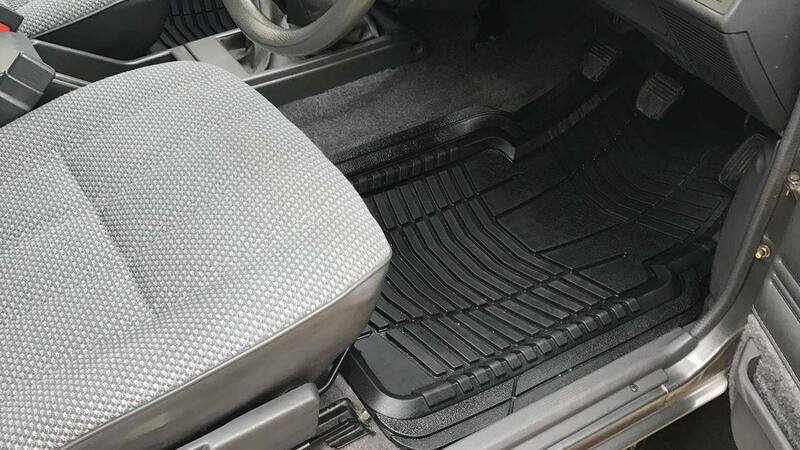 This deluxe Hilux came with automatic locking hubs, power steering, power mirrors, ice-cold A/C, a tonneau cover, and running boards. For the next 30 years, the truck remained in Japan, unmolested and pristine. 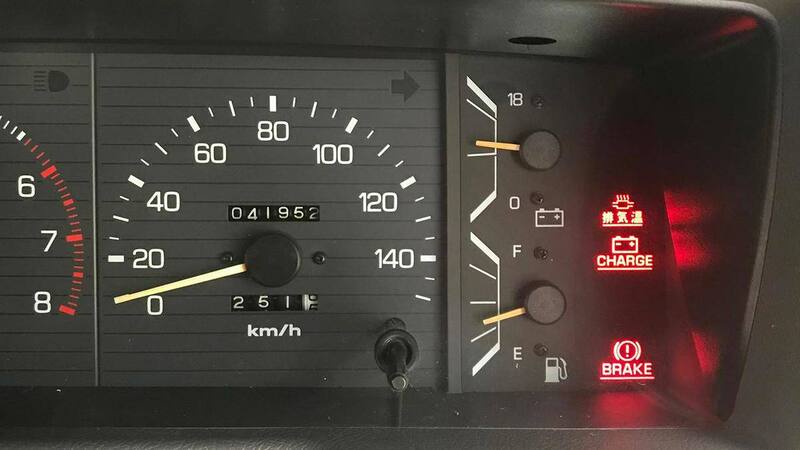 Given that it has a mere 26,000 miles (42,000 km) on the clock, we can only assume it was owned by a little old lady from Mishima who only drove it to church on Sundays (Mishima being the sister city to Pasadena). The Hilux was purchased at auction in 2017 by an American gentleman and long-time admirer of the breed. It was shipped to South Carolina for a red, white, and blue stamp of approval before finally arriving at its new home in the great state of Georgia. 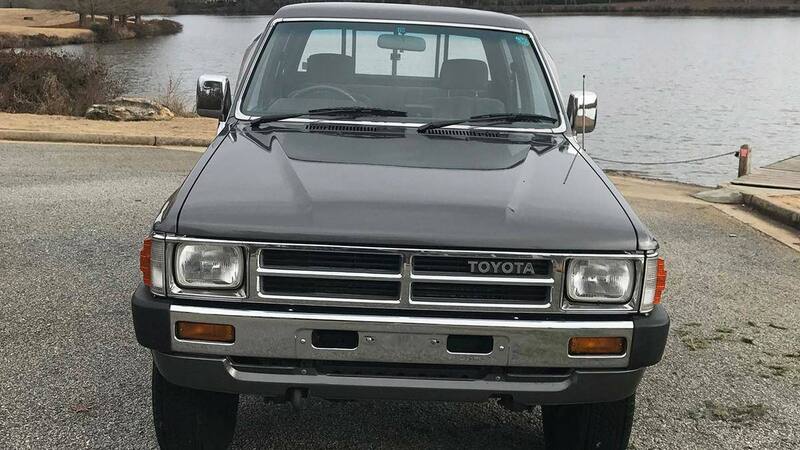 The $17,900 asking price might seem prima facie aspirational, but the recent sale of a 1983 Toyota Truck for an eye-watering $55,000 means that’s simply what these things cost now. If that seems insane, look at the first-gen Ford Bronco. Once thought of as a rust-prone, rough-riding oddball, prices have skyrocketed, nearly doubling in the last three years alone. The market wants what the market wants, even if it is driven by speculation. That being said, Toyota trucks have always been good buys. Even brand new, they retain their value exceptionally well. Prices for older models bottomed out years ago, helped by offroaders who prize the rugged body on frame construction and solid axles. While the front was switched to independent suspension in 1986, scarcity of older models drags up prices for most of the range. 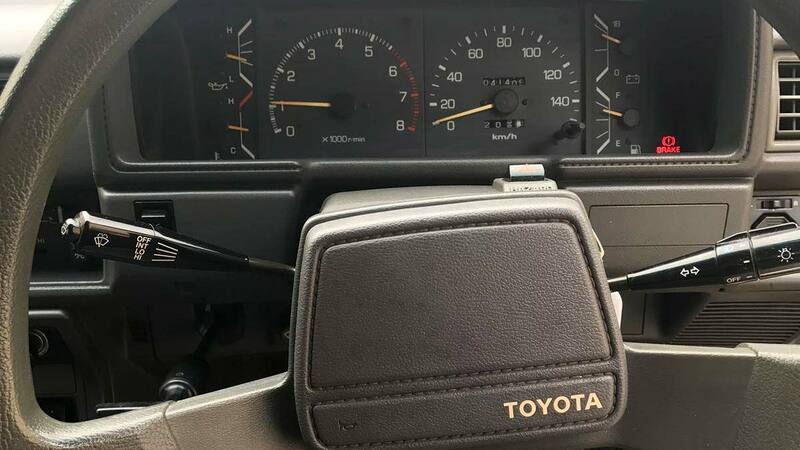 Our 1987 Hilux piles onto that value with its shocking originality and clean Georgia title. Someone else has already done the work of finding it, getting it imported, and getting it licensed. Its JDM pedigree adds even more. 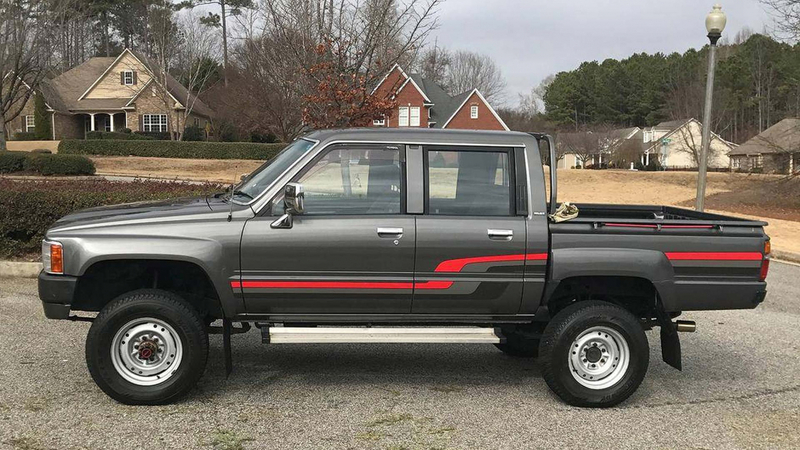 Fans of the venerable Toyota Truck, as the Hilux was called here in the States, will no doubt know that the four-door cab was not offered here in 1987, only the extended cab. The U.S.-spec engine was different, too: the legendary 22R and its derivatives. This 2.4-liter unit used a cast-iron block and still retains near-mythic reputation for reliability. 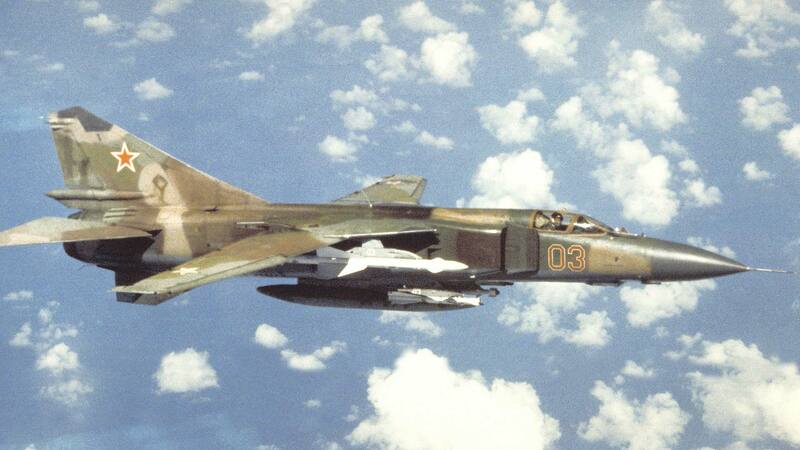 It was never triumphant against furious hordes of rocket-barfing MiGs however, at least not in the American market. The rest of the world got the same 3YJ our Hilux has and was able to keep them running in conditions like war zones using nothing more than buckets of rocks and a surfeit of pure vitriol. Suffice to say, both engines are incredibly tough. 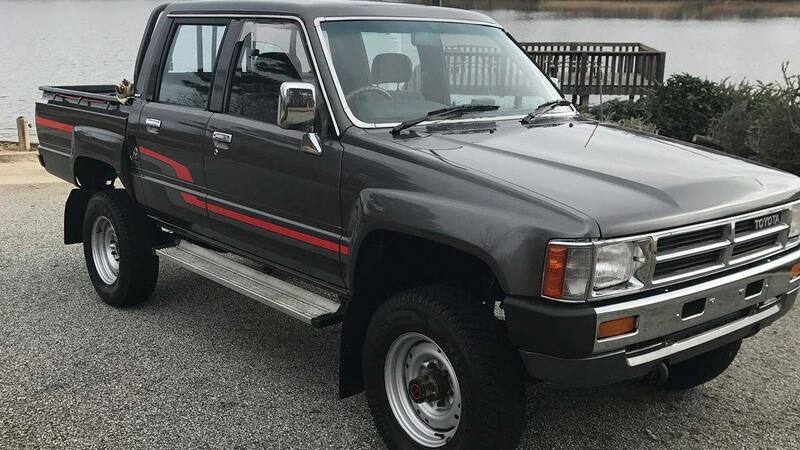 So, would you buy this 1987 Toyota Hilux? We certainly would. Underneath that metallic charcoal paint and jaunty Eighties graphics package blazes the immortal heart of a warrior. Point it in any direction—over hill, dale, jungle, or ice cap—and it will just go. Dreaming of Patagonia? Want to run the Mexican 1000? Fancy circumnavigating the globe? Buy this truck. This is a classic pickup the new owner can use every day for years to come and, at some point in the future, when it’s finally time to sell, will be worth more than what was paid for it. And to that new buyer, it’ll still be worth every penny.